We are esteemed manufacturer and supplier a finest range of Plastic Pitcher Set in Lucknow, Uttar Pradesh, India. 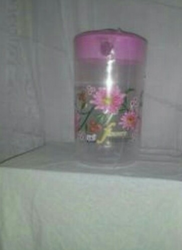 Our Plastic Pitcher Set is manufactured finest quality plastic with innovative concepts. Modern and attractive designs with ultra light weight and ruggedness. Safe for drinks serving. Available in options of colors in reasonable price. We offer high quality range of Fancy Plastic Jug. It is ideal for storage of cold and luke warm water and is easy to clean. It is widely appreciated by our clients which are situated all round the nation. We offer our range at market leading prices. Price with GST: SGD 59.90 The GST is applicable in Singapore only. We offer high quality range of Transparent Plastic Jug. This range is widely appreciated by our clients which are situated all round the nation. Our range is widely acclaimed for its durability, intricate designs and fine finish. Our range is offered in various sizes and design to meet the various domestic application. We are a leading manufacturer and supplier of an extensive range of Plastic Jugs. Manufactured using superior quality basic material, these are completely safe and hygienic to use. Our customers can avail these items in attractive colors, designs & shapes, and purchase these at industry leading prices from us. 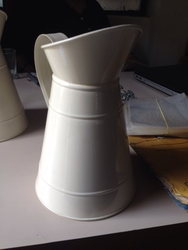 Offering a wide range of aluminium artware items like Pitcher.